EZ Bay Payday is an incredible automated system to help you make money online from $500 to $2.4K per day with little work and no experience. For Real? No, This is just an EZ Bay Payday Review. Making a lot of money and doing very little work, this sounds familiar don’t you think? Like you, I am very skeptical about this Ez Bay Payday automated system. The question then is this another online scam? In this Ez Bay Payday review, you will discover if this makes money online system is an incredible affiliate marketing system, or another scam waiting to steal your hard earned money. Today, there are so many online business opportunity scams on the internet. It is a requirement that you have to do due diligence on every opportunity to avoid scams, including the EZ Bay Payday system. Are you tired of losing money to scams after scams? You know you can learn affiliate marketing for free. It is a great way to get started in a new industry. I launched my online business with 10 Free Affiliate Marketing Lessons. These lessons cover all the steps to build an online business. Here is a free ‘Guide To Make Money Online‘ which I have written outlining my step-by-step of starting an affiliate marketing. 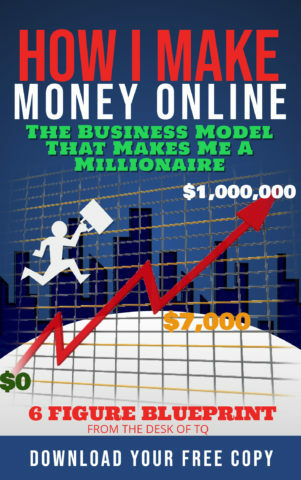 You can use this guide to help you build an online business. If you are thinking of purchasing the EZ Bay Payday system, you should read to the end of this review before deciding to invest. How does Ez Bay Payday System work? Can you really earn money online with Ez Bay Payday? Ez Bay Payday has discovered a secret website which allows you how to make easy money on eBay from $500 to $2,400K per day with only 20 minutes of work. This is an autopilot online payday system, another do-it-for-you (DFY) scheme, which only requires 17 minutes and 3 clicks to set up. Steve Richards, the founder of the system, claims that you don’t need to learn affiliate marketing strategies and sales techniques. You just have to get products in front of the people on this secret website, which has millions of visitors daily, to make money. The secret website is eBay. Steve then goes into a long story about his life, and how he struggled to find a legit way to make money online. His search for online financial freedom, Mr. Chard had accumulated a large amount of debt which forced him to sell his stuff on eBay to raise some money paying off the debts. In desperation, Steve has discovered a secret technique to create a viral promoting product on eBay which netted him thousands of dollars in a single day. He spent the next six months perfecting this technique and create Ez Bay Payday system which he is now sharing with a selected group of people. Only a few lucky people will get accepted into this system because spaces are limited. Hurry, sign up now before the door close! The promotion for the Ez Bay Payday is so bad that I have listed a lot of RED FLAGS for you in this little introductory section. It only takes 3 clicks to set up your money making system. Do you believe this Ez Bay Payday? Actually, there are some people will buy into this system. If it doesn’t work, Steve Richards would not have done it. Steve has done a good job in creating a personal story to connect with people who are struggling to find a legit way to make money online. But Ez Bay Payday doesn’t seem legit at all. It is too good to be true. Will you make money with this system? Let see how this work? The creator of this Payday money online system has told us that his system has generated from $500 to $2,400 per day for him and his students. But the crazy thing is he did not even tell us how. The only thing for sure about Ez Bay Payday is that this online money system uses eBay to make money. You would have thought that Ez Bay Payday training lessons will be about selling products on eBay, but it is not. Wait until you see what I found in the training program! Many people get excited after watching the promotional video and end up purchasing the system, the lucky few. The first video you will see is an introduction to Ez Bay Payday system. The videos lay out the steps that you must do to succeed with the system. It has nothing to do with eBay at all. To be successful, you have to purchase more stuff, upsells, which will be given to you in the next video. The first step is a FREE webinar. When you click on the link, you are taken directly to John Crestani Internet JetSet/Super Affiliate System free webinar. Next, you will learn how to set up a website. OK, why do I need to set up a website when I am using the secret website, eBay? Click on the link and you find out that you are not going to learn how to build a website. 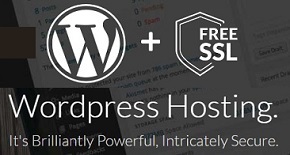 You are asked to purchase a web hosting service for $140, another upsell. Still, no clue why I have to buy this web hosting service. The final step promises greater success, but you have to purchase another program called: “CB Cash Code.” Really, this is not an eBay training program. It is a completely different training program for Clickbank. After 4 different videos upsell, you finally get to the main training of the EZ Bay Payday. The training is divided into eleven modules that contain a bunch of basic videos teaching about drop shipping. The most disgusting thing is that all these videos are easy to find on YouTube for FREE. Yet! You heard me right. The entire training teaches you the basic set up of a drop shipping business. It teaches you how to open an eBay account, find drop shipping suppliers, find products to list on eBay, and finally, how to place your order. You can find every video in Ez Bay Payday training program on YouTube for free. Do you still want to spend the $37 to join the most incredible money making system? Then read on. Oh no! More videos? Yes, more YouTube videos. These bonus videos show you how to make money doing online jobs such as taking surveys, doing data entry job, test websites, and test apps. These videos are worthless, and they have nothing to do with eBay. It should be clear to everyone at this point that the EZ Bay Payday system is a scam. The promotional video is designed to get you in the door, so they can make more money by upselling you. If you still don’t believe me, then click here to register for an account with EZ Bay Payday and see it for yourself. I can tell you “NO.” You cannot! I have shown some of the red flags with this online money making system, and if you read the section above, you should understand that this system is created to scam more money from you. Just look at the income testimonials in the video, all of these are fake testimonials. Wonder how to tell if income testimonies are real or fake? It’s easy. You need to pay attention to the people giving the testimonials. Do not get sucked into the personal story invented by the creator. Fake testimonials are always using paid actors, not real people. Ez Bay Payday testimonials are fake because they used actors and actress. You can hire an actor or actress online from a freelance site, such as Fiverr for as little as $5 to give you a fake product testimonial. These paid actors and actresses are lying about their earnings. They are not a member and have never bought this system. Steve Richard is not real. 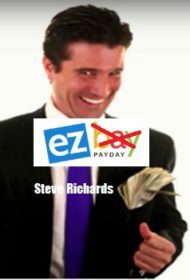 It is a Pen Name created by the people who make EZ Bay Payday. A pen name is a fictitious name created by people who do not want their actual name to be known. They are afraid of something. In this case, maybe to avoid the wrath of people that they scammed. This is a common tactic used by scammers and sometimes affiliate marketer to motivate people to act, buy now. If you sit back and think about this, you can see this is a scam because scarcity normally applies to foods or personal products. This happens because manufacturers are unable to produce them fast enough to meet demands. Ez Bay Payday is an app. You only create one version of the app, then allows people to download. Furthermore, I don’t see a huge demand for this business opportunity at all. Why in the world, there is a scarcity? This is fake. Everyone will get into the program if you are willing to pay the $37. Want to try proving me wrong? click here. You will not make money with Ez Bay Payday. But for those people that bought the upsell, only the Super Affiliate System, you can make money online with that program. The Super Affiliate System is very expensive, and John Crestani is a successful affiliate marketer. You can read about him in my Supper Affiliate Review. If you purchased the EZ Bay Payday for $37 and thinking you can make millions, you are wrong. The costs for this money system are way more than $37 after adding in all the upsells. I am not going to list the cost for all the upsells, but I can tell you that the Super Affiliate System alone can cost you over $1,000. Click here to check. Many online reviewers told you to purchase the EZ Bay Payday because this is a Clickbank product which has a 30-day money back guarantee. This is a trick! The 30-day guarantee does not apply to the upsells. You will never receive any refund for upsell products. Many online reviewers know this, so they trick you into purchasing all the products thinking you will get a refund within 30 days, this is not the case. If you are curious and have $37 to throw away, I recommend you just purchase the EZ Bay Payday to satisfy your curiosity but don’t buy the upsells. This online business opportunity is a scam, and eBay is not a secret website. I had sold on eBay before. I can tell you that it requires a lot of work to make a profit. Drop Shipping is a great way to make money on eBay and Amazon, but it is not easy for people just starting out. As a newbie without customer review, overcome the buyer review system will be a big challenge for you. Most people will only purchase from sellers with excellent customer feedbacks, not from a newbie. I once had to sell a few items at a loss to generate positive feedbacks to make sells. This is just one hurdle. There are other things like customer returns, undelivered items, sold out products, credit card chargebacks, and more. It is not easy. Trust me, selling on eBay is not easy. Been there and done that myself. I started my eBay business back in the 80’s. I left the business because I discover a better and much easier way to make money online, affiliate marketing. I have been making money online for more than 20 years. I have tried everything, but the one the best online business opportunity by far is affiliate marketing. Affiliate marketing is a very lucrative business. It is the only online business opportunity that does not require a lot of initial capital investment. You can start as little as $100 or less. Why I prefer affiliate marketing over other types of online business? It does not require a lot of initial investment. Read more. Learning basic affiliate marketing is free. Read more. A WordPress blog is all you need. You can build one yourself. You can start affiliate marketing part-time and at home. Read how. No need to provide customer services. No need to list thousands of products. Earn passive income. Read more. How do you start affiliate marketing without being scammed by EZ Payday? Very simple, start your new online business by learning affiliate marketing with a free training program. This is the first step in building a successful online business. I have given this same advice to every beginner asking me, ‘how can I become a successful affiliate marketer?’ I say, use these 10 free affiliate marketing lessons to start. True, you cannot make money with a paid basic affiliate marketing training program either. So why pay for something when you can get it for free. You are learning the baby steps before becoming a master. Don’t have to worry about being scammed. It is free! The Wealthy Affiliate University is my #1 recommendation for people interested in learning affiliate marketing. This program offers free basic training as well as advanced affiliate marketing training. It is FREE to join: There is no payment information required and no expiration date on your free membership. You can stay as long as you want to finish your basic training. Click here to train for free. 10 FREE basic affiliate marketing lessons: these 10 lessons are more than enough for you to have a strong understanding of the online affiliate marketing business. This basic knowledge can help you to identify a real affiliate marketing program from a scammer, such as EZ Bay Payday. Click here for 10 Free Training Lessons. FREE tools to practice what you learn: As a free member starting out, the program offers free websites and free keyword researches for you to build an online business. This is over $300 online tools for free. Click here to check out the tools. I use this program to build a $350K online business. You have access to me and I can help you along the way. This is my free offer. Click here for my profile. If you want to learn the real way to make money online, I invite you to join me by clicking the link below. If you have $37 to wast, then you can try out EZ Bay Payday.